The Government’s proposed Brexit deal disregards the views of many young people who want to maintain existing freedom of movement and trade arrangements, says a new LSE report commissioned by the APPG on a Better Brexit for Young People and launched today at a Common Futures Forum – spearheaded by My Life My Say. The Common Futures Forum will draw on the views of 200 young people from across Europe who will be present throughout the day’s event. Speakers from across the business, political and third sector will join social media influencers, public figures and celebrities to discuss their vision for the future of Britain. 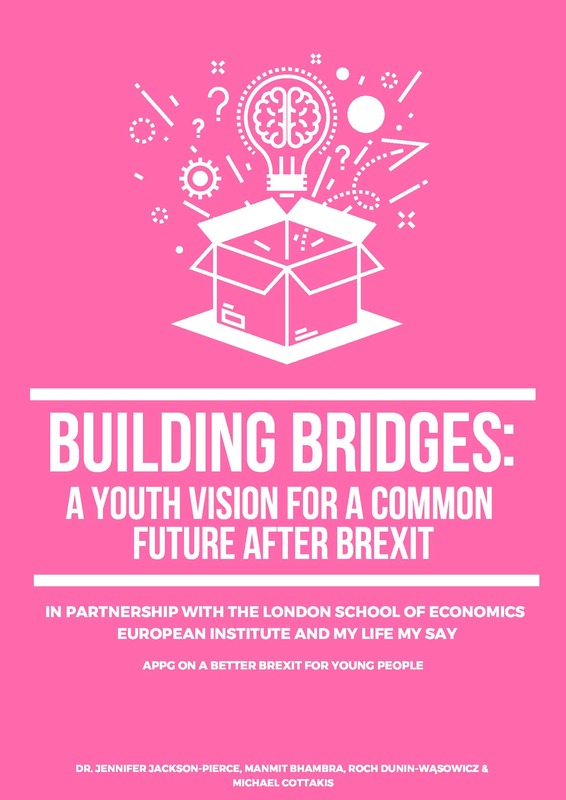 The report “Building Bridges: A Youth Vision for a Common Future after Brexit” reflects widespread and deepening discontent amongst young people over what they consider to be the prioritisation of older generations in the negotiations. Most importantly, many British youth believe that the aggressive political debate conducted mainly between political elites will only damage any prospects for positive and productive negotiations. The results show the need for a unifying, pragmatic, bridge-building Brexit. “It’s plain to see that the Brexit negotiations have failed to take account of the views of young people both in Britain and Europe. Young people are tired of the acrimonious political debates that have dominated over the past two years and desire a future that is built on co-operation and consensus. Whilst their sense of frustration and even anger about the state of our politics is perfectly justified and understandable, we must be constructive. The purpose of the CFF is to kick-start the process of transforming young people’s feelings of resentment and alienation into a more productive commitment to listen, understand, engage, and find the common ground together, by building bridges and dialogue across generations and communities.